The Kansas City Chiefs are undefeated five weeks into the NFL season. They have the hottest young quarterback in the NFL and an offense that looks unstoppable. The idea that they could be the underdog to anyone other than maybe the Los Angeles Rams (who they play next month) seems ludicrous. But that is exactly what they are Sunday night—underdogs, to a 3-2 team. To be fair, it isn’t just any old 3-2 team. We’re talking about the New England Patriots. Take away the reputations involved, and it becomes a lot easier to pick a winner for this game. On one team you have an offense run by a 23-year old dual-threat quarterback that is the second highest scoring offense in the NFL. He has a talented young running back and a collection of pass catchers most offensive coordinators would die for. Oh—and his team is undefeated (5-0). The other team’s offense is run by a 41-year old quarterback who has had better years. His offense is ranked ninth in scoring—so, it isn’t doing half-bad. But it has struggled a lot this season. The running game is hit or miss, and there have been times where the passing game has been hard to get started, too. His pass catchers, as a group, are not nearly as good. As for his team, it has had some issues this season and is only 3-2. The 23-year old’s offense is scoring about ten points a game more than the other team. Choice looks easy, right? But what about the defenses? The defense for the youngster’s team is ranked 19th in points allowed with 25.8 a game. The 41-year old’s team is doing a bit better; his team’s defense is ranked ninth in points allowed with 21.6 a game. Of course, an argument could be made that one team looks better or worse than the other because of their respective schedule. But the undefeated team has played a much tougher slate so far (so that argument doesn’t fly). Easy choice, right? The 23-year old appears to have the much better team. So, then how come the majority of people seem to be picking the old guy’s team even though it has been less productive, has less talent on offense, and a worse record? Because the old guy is arguably the greatest quarterback to ever play the game (Tom Brady) and his team is coached by the guy lovingly known as the evil genius (Bill Belichick). On paper, it looks like this one should be a relatively easy win for Patrick Mahomes and the Kansas City Chiefs. They have the better offense between the two; they definitely have the better group of skill position guys. But Tom Brady has a knack for getting the best out of whoever lines up on offense with him. If he doesn’t get their best, it is because he has figured out how to get even more out of them. As for his defense, over the years, the Patriots defense has found ways to turn it up a few notches for big games. 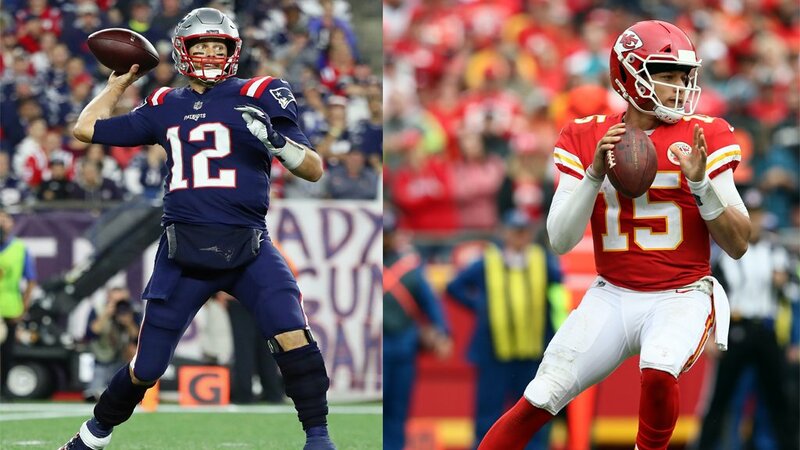 Nothing against Patrick Mahomes and the Chiefs, but anyone that has followed the NFL in recent years knows the Patriots tend to wait until people disregard them before turning it on. So, it would not be shocking if the defense had its best game of the season this week. However, I’m not going to count on all of that happening. Straight up—take the Patriots. If there is anyone that can find a way to beat Mahomes and company, it’s Brady. But against the spread (-3.5, Patriots), take the Chiefs. This game is going to be a close one.